When you decide to build a Lockwood commercial building, you are joining the Lockwood family. From the designers and engineers creating the plans to the skilled craftsmen producing the components in our factories, and the Lockwood authorised builders working hard on your site, everyone has the same strong sense of pride and commitment in the final outcome – your new building. 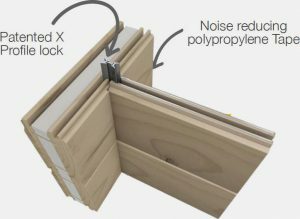 The Lockwood wall and jointing system is certified under CodeMark, giving certainty of compliance with the NZ Building Code and offering you peace of mind and quality assurance. Read more about our accreditation here. All components for your Lockwood building are manufactured in our production facilities to fit your design plans. In our unique and exclusive building system, solid laminated timber planks and patented aluminium profiles are locked together – rather than nailed – to create strong and versatile structures. All structural timber in a Lockwood is kiln dried and H3.1 treated with mouldicide and water repellent wax added for even greater protection. 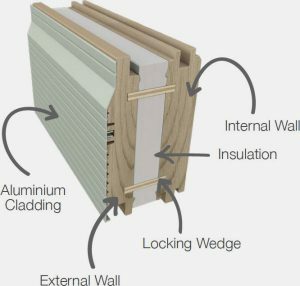 Our exterior wall board eliminates the opportunity for heat loss due to thermal conductivity with insulation sandwiched between solid timber. 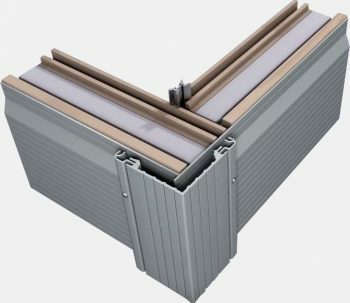 The 107mm insulated wall has been rated with an R-value of 2.1 Extruded aluminium sheathing is machine pressed to the exterior board in your choice of colour. Coated with a coloured polyester resin, this provides a superior, longer lasting finish and means buildings don’t need frequent painting. 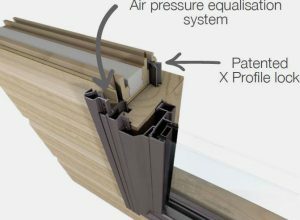 In our unique system, aluminium X-Profiles lock together our solid wood walls and joinery to create strong, secure structures. 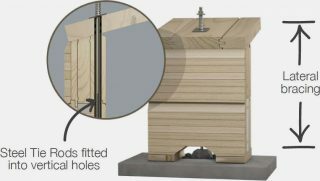 Homes using this system can be built quickly and efficiently even on steep and challenging sites. And because all components come directly to your site from our factory, there’s no time lost waiting for delivery from various suppliers. Vertical steel tie rods within the Lockwood walls provide lateral bracing and the strength to withstand extreme weather conditions and earthquakes. 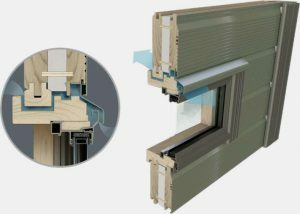 With our unique construction system, passive air flows over the top of the integrated joinery frames, so your building breathes and feels fresh. This ensures a drier, healthier environment. Custom made joinery is integrated into the Lockwood structural system for extra strength and to ensure a leak free living environment. 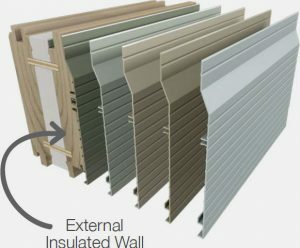 The Lockwood advanced extruded aluminium sheathing is coated with a coloured polyester resin which provides a superior, longer lasting finish. Mechanically pressed onto the precisely engineered profile of exterior boards, the aluminium cladding looks good for years. This means our buildings don’t need frequent painting. This jointing method for Lockwood exterior walls provides a robust solution and greater H1 insulation properties with its tight connection. The extruded aluminium cladding extends over the exposed corner profile of the opposite wall, which assists to keep moisture out.